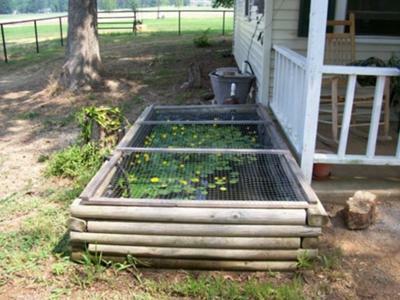 I have an above ground goldfish pond that is made from landscape timbers. Each spring I clean the filter where there is more "sludge" from fish poop and dead leaves than I care to mention. 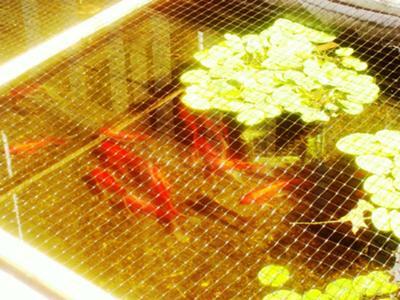 I know that goldfish give off a lot of ammonia which is the reason you can't put other types of fish in with them, but I wonder if I can use the sludge on my vegetable garden? And if so, what would be the ratio of water to sludge? I am thinking of using one of the fertilizer containers that you put a hose on. Any ideas? Hi Pauline, I thought I was the only one with this source of "free" fertiliser, so it is good to meet a another fishpond fertiliser user. Many years ago we remodeled our bath room and decided to dispense with the bath which I converted into a fishpond. I also fond the very small filter on the pump to be inadequate so I built one from two 1.5l lemonade bottles stuffed with surplus wind mesh and connecting pipes from old garden hose. About once a month I rinse out the poo etc from the mesh in a bucket of water which goes onto the pot plants. I always give the pots a good soak first otherwise the concentrated fertiliser may burn the plant roots. I don't know about using the mixture through a spray but you may have to filter it. Gold fish looks very beautiful and I love to see them at my pond. But one thing you have to manage with your pet is to use non toxic sealer to care for your pond.